Does Your Agency Offer Traveling Caregivers? With more seniors choosing to age in place at home, the home care industry is booming. Is your home care agency pulling ahead of the pack – or struggling to keep up? Creating a specialty within your agency – a niche that caters to specific clients – is an excellent way to promote your business and attract more clients. In addition to offering a quality home care system and home care software program like ClearCare, advertising a specialty service tells potential clients that you take their care and safety seriously. Offering “traveling caregivers” lets the public know you’re willing to go above and beyond in order to make their senior years enjoyable. 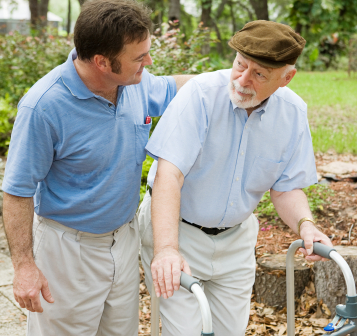 Few home care agencies provide traveling caregivers – especially for patients with special needs. Deena Balough of Port Richey, Florida has dedicated her life to showing the elderly that traveling the world is still possible. “It’s so exciting to see changes in people who were often just waiting to die,” says Balough. “I find whatever makes them tick – hot buttons to find a reason to care about life again.” For many, that “hot button” is travel. Balough’s company not only offers the standard caregiving services, but also luxury travel for seniors – even those with dementia. Clients of Balough’s have rented villas in France, cruised the Caribbean, and taken 10-day tours through Morocco. Employees of Balough are sincere advocates for those with severe medical issues, such as cancer or cognitive impairment, which would normally keep them housebound. Seniors who experience depression during winter months will especially enjoy a tropical getaway. “I loved it!” wrote 72-year old Jean Shephard of the Caribbean cruise she took during Christmas 2011. Shephard, deaf and mute since birth, was delighted with the traveling caregivers who made her trip possible. Another agency providing traveling caregivers as part of a senior transportation service developed in the expansion of their home care agency is September Services. This Dallas-based elder care agency utilizes the power of ClearCare to not only schedule & manage caregivers in the home, but those on-the-go with clients, as well. Traveling with the physically or mentally impaired entails extensive planning. Agencies that offer such a service must research handicap-friendly facilities and medical providers in other countries, as well as arrange meals for seniors with dietary restrictions. Using a reliable homecare system like ClearCare will help keep administrators organized as they make such preparations. Keeping up with medications is especially important while traveling. Caregivers that rely on ClearCare’s home care software will be instructed how and when to dispense all medications. ClearCare’s home care software is also invaluable when it comes to dietary needs, allergies, and medical history. Traveling caregivers must have adequate support and resources in the countries they visit. Caregivers should store international partners’ contact information in ClearCare’s home care system for safekeeping. With ClearCare’s web-based home care software and home care system, important medical information can be accessed through the internet or mobile device – essential for international travel. Whether your agency plans on offering traveling caregivers or a different specialty service, ClearCare’s home care system and home care software will help you every step of the way. Our marketing specialist is happy to answer any of your questions if you’re ready to start the journey.